Pricing is based upon the project's scope of work and typically is subject to square feet being created or modified. 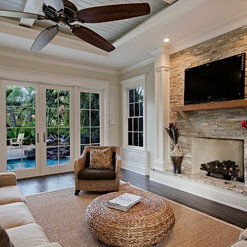 Ashmore Design is a licensed architecture firm that specializes in structural design. We provide full, design documents and plans to obtain a building permit for every type of construction project. Our highly skilled staff can take you from the design stages through the permitting process. I highly recommend Ashmore & Associates! 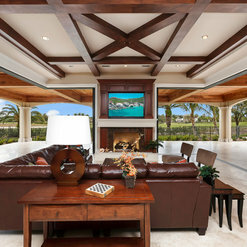 I designed a home using auto cad and they were able to create a set of engineered plans for me with every detail I needed to satisfy Collier County Florida permit requirements. When I needed to make a couple of revisions, they were very quick to advise me and revise the plans as needed. They were very professional and so easy to work with. If you find yourself designing your own home and in need a set of engineered plans, look no further than Ashmore! It was a pleasure to work with Camden, Trevor and Trish at Ashmore. I would use them again if the need arises. As the president at M.D.B.General Contractors,Inc., Ashmore & Associates,LLC has prepared the plans for our projects for many years and their professionalism and integrity has been flawless. They respond in a timely manner as this is critical in the building industry. We have been working with Ashmore & Associates for many years and would not dream of going to anyone else. We have hired them too many times to count. We highly recommend them! 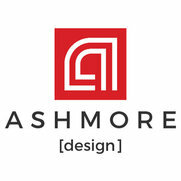 We have been working with Ashmore for years. Found them to be professional, courteous, and to offer excellent plans. They are our "go to" folks for new house and remodeling plans. Keep up the good work. have worked with Camden on many projects in the past several years, have allways found his work to be professional and on time, knows what you are looking for and allways listens. will continue to use him. I've worked together with Camden and his team at Ashmore & Associates on multiple projects and have been extremely pleased with their work. Their attention to detail, responsiveness, and support through challenges will keep us coming back! JFH Construction has worked with Ashmore & Associates for many years. They are always professional and can turn projects around in a timely manner. They are quick to make correction on the plans and make the permitting process much easier. I contracted Ashmore and Associates to design and engineer an addition to my home. They were professional and finished on schedule. They also helped with additional information and drawings to the contractor throughout the project. I would recommend them to a friend. Steve. Commented: What is the Pool finish and what color is the waterGood day! The pool finish is Pearl by Florida Stucco.